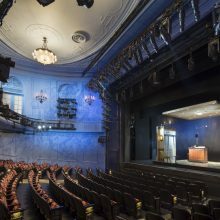 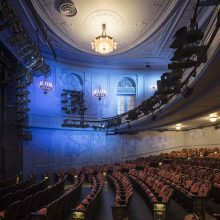 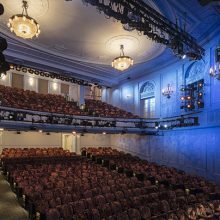 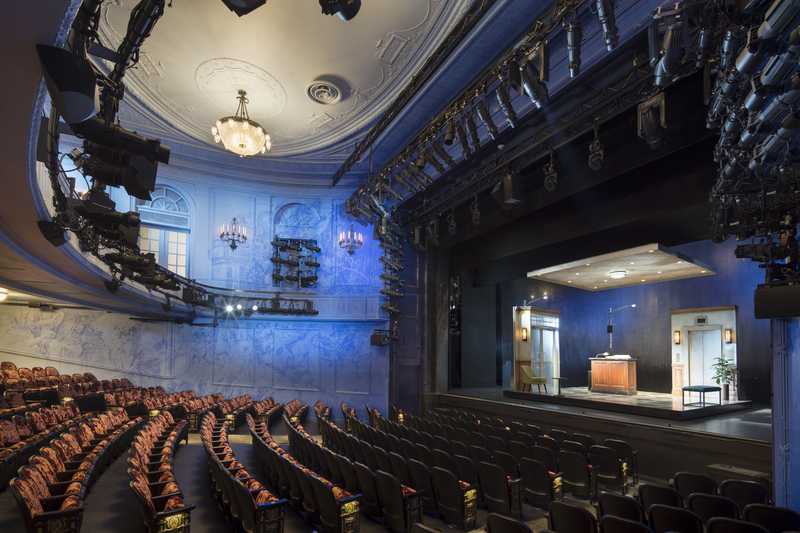 Originally named the Little Theater when it was built in 1912 by Winthrop Ames, the Helen Hayes theater was conceived as an intimate venue where audiences felt like they were sitting in a grand domestic salon as opposed to the larger commercial theaters of the time. 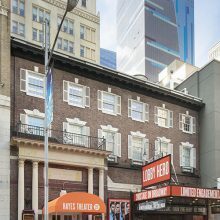 It acquired landmark designation in 1987 protecting it from significant architectural alteration. 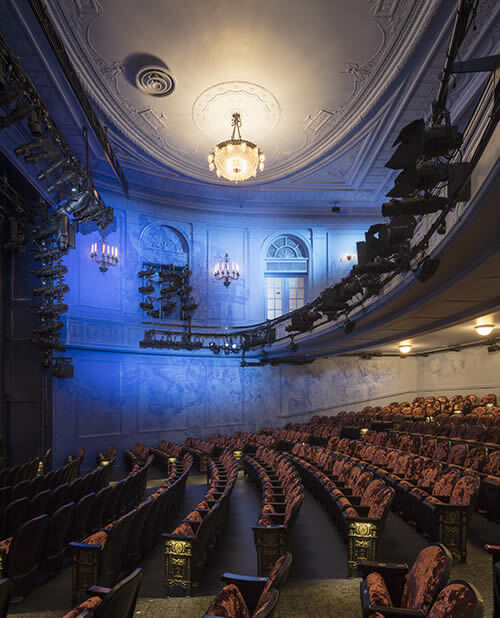 But the theater was showing its age and was need of significant upgrades to the infrastructure – presenting the challenge of respecting the “frozen” interiors while bringing it into the twenty first century. 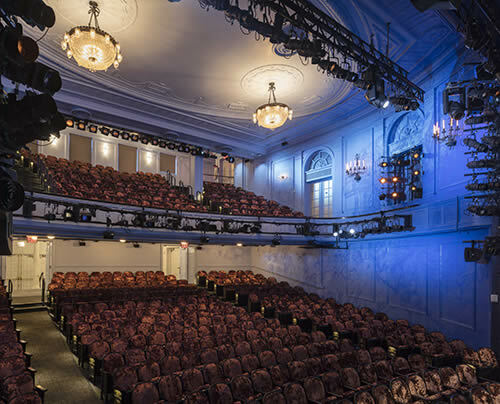 The ultimate project goal was to modernize the theatre ensuring to respect and honor the Landmark designation. 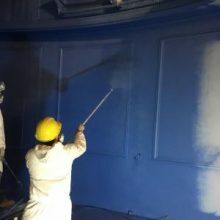 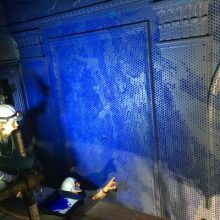 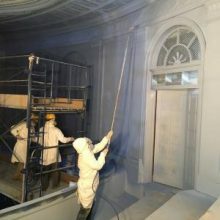 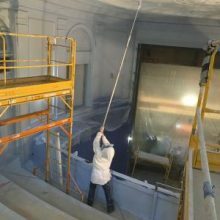 So EverGreene conservators first completed a historic finishes investigation, documenting findings for the Landmarks’ review process, which supported a case for artistic flexibility in a new paint scheme for the interior. 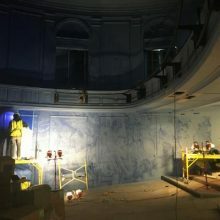 One of main elements of the renovation is a mural, lining the interior, which takes its design inspiration from French tapestries that adorned the theater when Ames founded it. 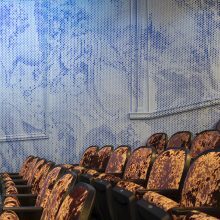 The hand-painted mural uses a custom glyph typeface to create a pixelated ombré effect from light to dark blue. 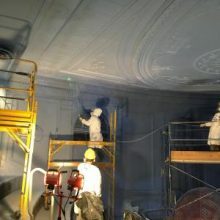 When seen up close it is modern and abstract. 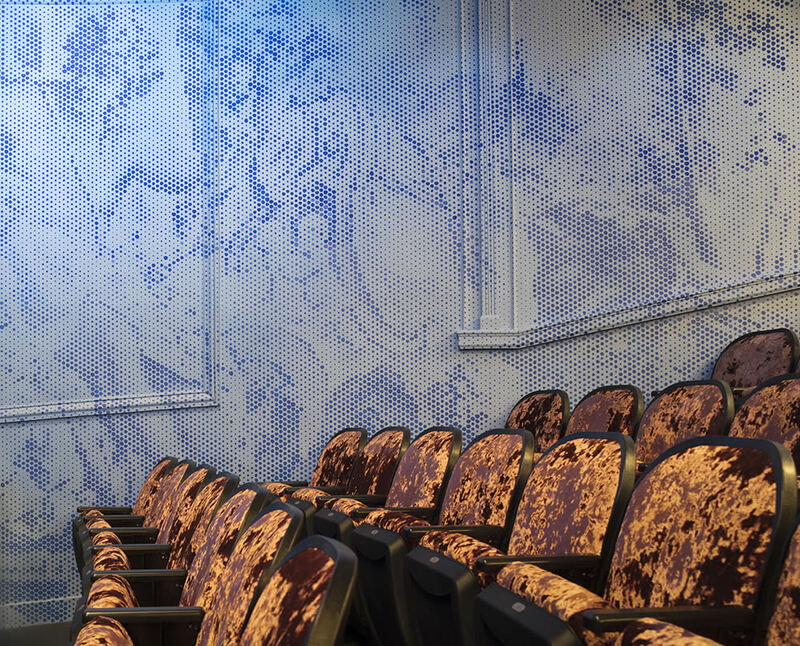 But from a distance, the patterns of the old tapestry appear. 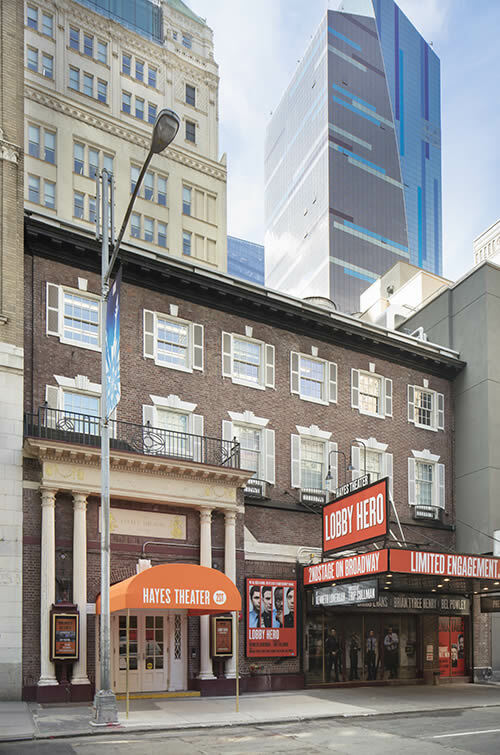 EverGreene created a process that provided an affordable solution, developed a color palette communicates a contemporary aesthetic for the historic theater that pushes it towards the future. 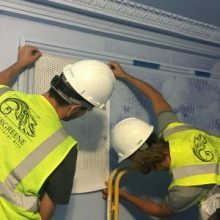 Through its collaboration with the architects and designers, EverGreene was able to evaluate the feasibility of this unique design concept and translate it to reality.